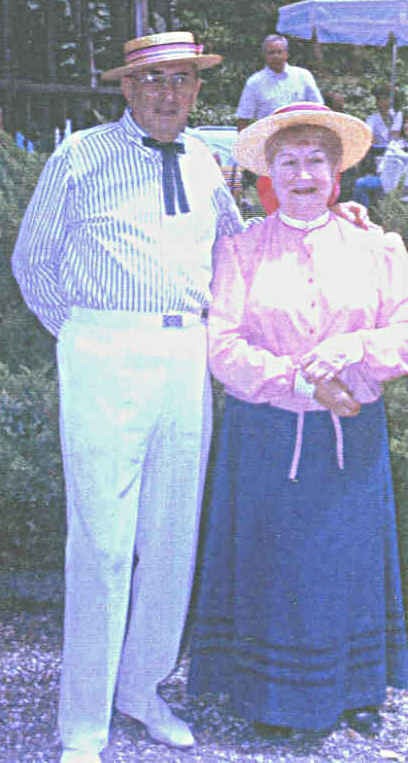 Mitchell "Mike" Kass joined his beloved wife Marj on May 17 of this year. I'd like to think they are planning a "heavenly" ragtime garden party, such as they graciously hosted for ten years (1988-1998) at their Shingle Springs home. They were among the early supporters of the Sacramento Ragtime Society. Mike was born in New York City on May 31, 1918. He served in the Navy during World War II. Some time after the war he and Marj took a long driving trip and settled in Southern California. He took a position with Aerojet in Rancho Cordova in 1957 and they made their home in Shingle Springs. 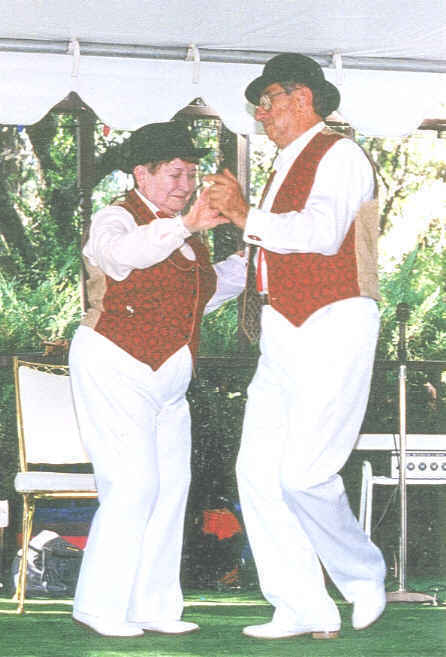 The Kasses enjoyed a long retirement with travel, activities with the Society for Creative Anachronism, the Sacramento Traditional Jazz Society, the Sacramento Ragtime Society, their beloved Boxer dogs, good friends, good books, and good music, especially ragtime.